Belmond Charleston Place, in Charleston, South Carolina, has introduced a “Newly Nesters Package,” designed to reawaken the spark that was in couples whose kids have flown the coop and find themselves emptynesters. 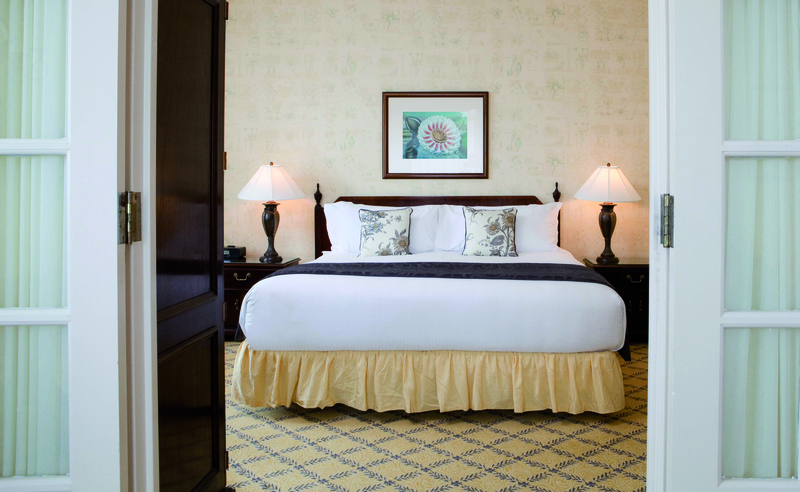 The Newly Nesters package includes one night luxury hotel accommodations in one of the new Premier rooms, sparkling wine welcome amenity, dinner for two in the award winning Charleston Grill (which the New York Times recently described as “simultaneously glamorous and comfortable”) and continental breakfast for two in the garden-inspired Palmetto Cafe. Rates from $389 plus tax. Consistently ranked among the best hotels in the world by the readers of Condé Nast Traveler and Travel + Leisure magazines, Belmond Charleston Place evokes the feeling of a grand, 17th century residence, from its lush personal suites to the Italian marble lobby with its signature Georgian Open Arm staircase and 12-foot crystal chandelier. The staff of the hotel is dedicated to indulging its guests with the finest in Southern hospitality, and has become the choice of celebrities, princes and politicians. Guests can enjoy the hotel’s full service European-style spa and horizon-edge swimming pool with retractable glass roof. The hotel is centrally located, surrounded by historic homes and buildings, and within strolling distance of the Charleston’s many boutiques, galleries and restaurants. For more information visit www.CharlestonPlace.com or call 800-383-2335. Belmond Charleston Place is part of Belmond Ltd., a global collection of exceptional hotel and luxury travel adventures in some of the world’s most inspiring and enriching destinations. Established almost 40 years ago with the acquisition of Belmond Hotel Cipriani in Venice, the Company owns and operates 45 distinctive hotel, rail and river cruise experiences in many of the world’s most celebrated destinations. From city landmarks to intimate resorts, the collection includes Belmond Grand Hotel Europe, St. Petersburg; Belmond Copacabana Palace, Rio de Janeiro; Belmond Maroma Resort & Spa, Riviera Maya; and Belmond El Encanto, Santa Barbara. Belmond also encompasses safaris, six luxury tourist trains including the Venice Simplon-Orient-Express, three river cruises and ‘21’, one of New York’s most storied restaurants. Orient-Express is a trademark of SNCF For more information, visit belmond.com. Tags:Belmond Charleston Place, Charleston hotels, Charleston SC, Charleston South Carolina, emptynester travel, emptynesters, hotel deals romance package, hotel package, romance travel Belmond Ltd.